In the state of first landings, first impressions count – but it’s hard to go wrong when you’re sandwiched between the Appalachian Mountains and Chesapeake Bay. 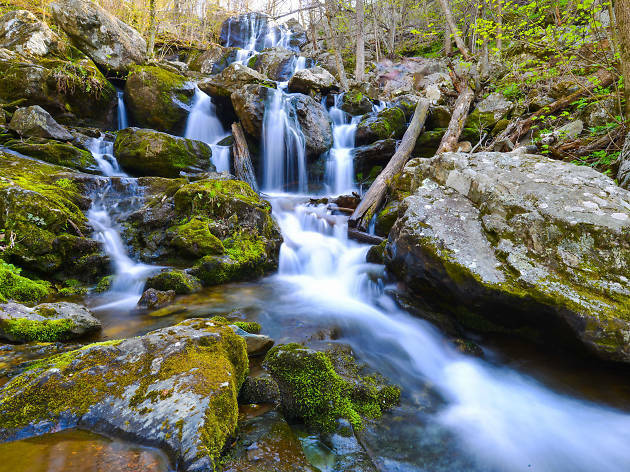 Being in Virginia means being in nature, and whether you prefer to spend your days hiking through valleys to spy local landmarks or surfing the waves at Virginia Beach, you’ll never want to leave. 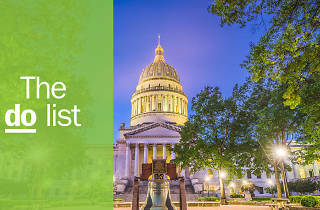 Combine that with historical sites brought to life before your eyes and a food scene powered by the freshest local produce and seafood straight from the bay – and you’ll find Virginia is a state that feeds your mind, soul and tastebuds. What is it? A historic waterfront district with red-brick sidewalks and an exciting independent scene, it’s the perfect mix of old and new. Why go? The ideal weekend break, this picture-perfect town may have been founded in 1749, but its cobblestone streets are filled with new creations. 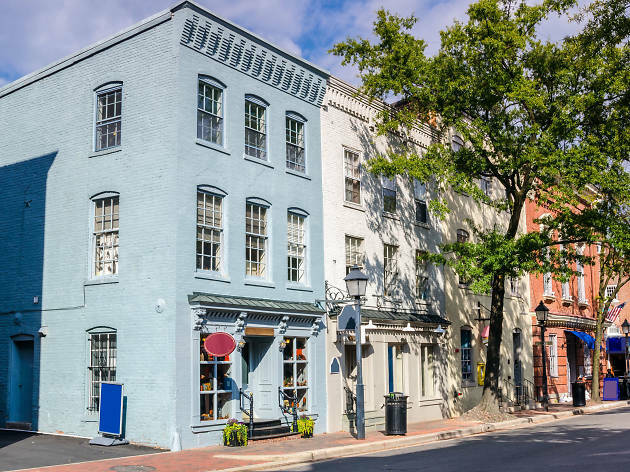 Strolling is the only way to enjoy a place like this, so wander from magical apothecary museums to the tiny seven-foot-wide Spite House to the boutiques of the King Street Mile, all with a liquid-nitrogen ice cream in hand. What is it? An impressive limestone bridge, carved by nature and a highlight on a hike through the surrounding National Park. Why go? 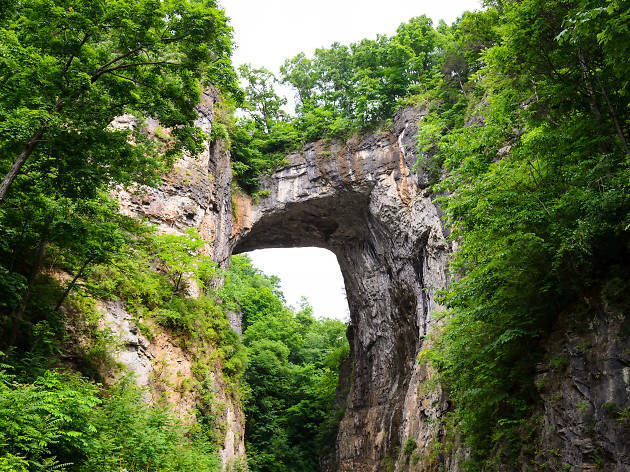 Once a sacred site for the Monacan Tribe and then owned by Thomas Jefferson, the 215-foot tall Natural Bridge was forged by the Cedar Creek over thousands of years. Rather unromantically, the Route 11 Highway now runs across it, but from below the view is an unspoiled reminder of nature’s longevity, with an added light show if you stay after dark. What is it? Get a behind-the-scenes look at Pleasure House’s oyster farms on one of their three boat tours. Why go? 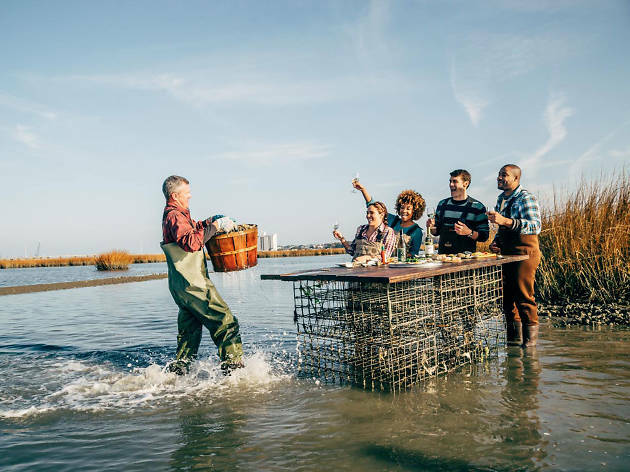 As well as touring the Lynnhaven River, you can get hands-on gathering up your own oysters, before tucking into one of the freshest seafood meals you’ll ever eat. Pleasure House oysters are available in a variety of Virginia eateries in Virginia Beach and Norfolk. What is it? 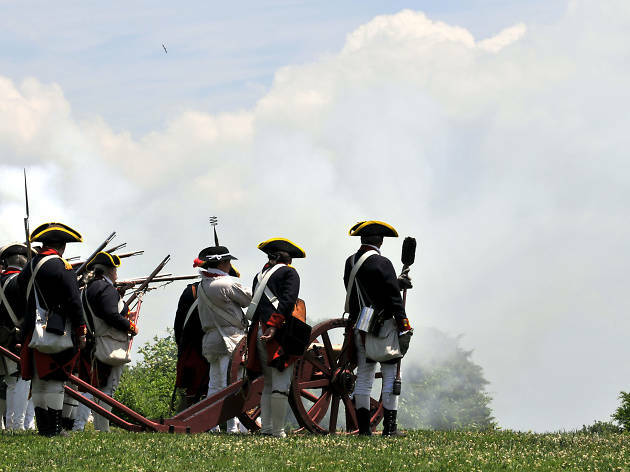 A collection of three living, breathing colonial communities waiting to whisk you back to the past with drama, daily life and hands-on demonstrations. Why go? 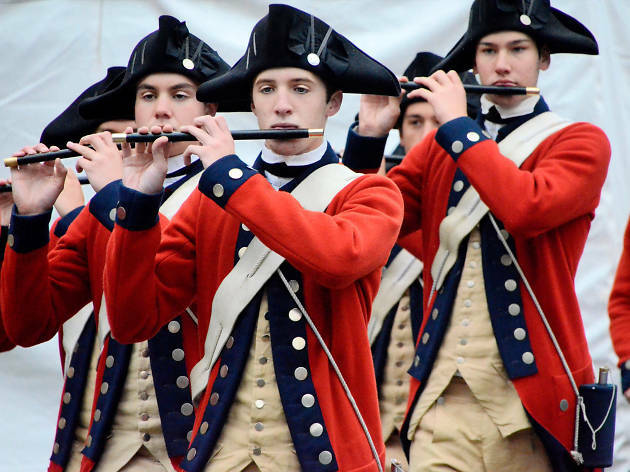 Follow the history of America as the first permanent settlers of the New World moved from Jamestown to Williamsburg, before Cornwallis’s surrender in Yorktown in 1781. The immersive nature of the historical areas will entice and entertain everyone from history buffs to families to avid museum-avoiders, introducing the struggles and triumphs during America’s development as a nation. What is it? A narrow slice of a park home to the Blue Ridge Mountains, Shenandoah Valley and the gold-view-guaranteed Skyline Drive. Why go? If rushing waterfalls, backcountry camping and incredible views are your drug of choice, then look no further. A trip along Skyline Drive makes for the perfect introduction before you set off to explore some of the 500 miles of trails mapping the wilderness. Choose between hike and horseback and let the local wildlife distract you from everyday life, if only for an afternoon. What is it? 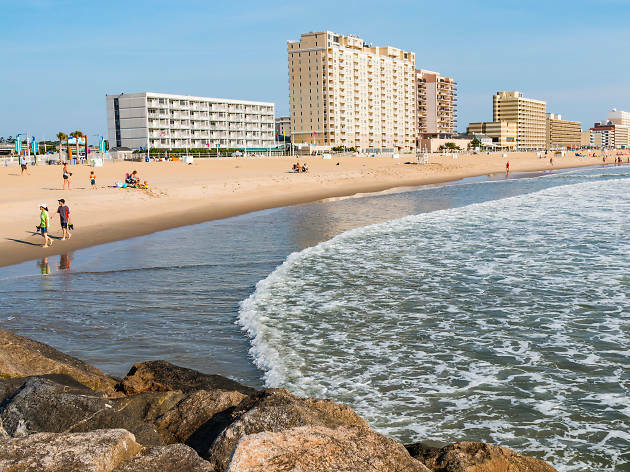 This coastal city in southeast Virginia has got to be one of the most popular in the state. Get set to treat your tastebuds here, as well as your other four senses. Why go? Watch the wildlife at the secluded Sandbridge beach, enjoy live performances on the three-mile boardwalk, explore the vibrant street art and taste your way around Old Beach Farmers Market. Of course, one of the main reasons people make the pilgrimage to Virginia Beach is to surf the waves. What is it? A small restaurant in Staunton serving up stunning New American creations that are a feast for the eyes as well as the tastebuds. Why go? Inspired by the Appalachian and Southern dishes made by his grandmother-in-law, chef Ian Boden creates beautiful food and keeps it affordable too. In the heart of Shenandoah Valley, the menu makes the most of the farming surrounds and sticks to local and seasonal produce. Weekend brunch is a real treat if you can snag a table. What is it? A riverside plantation estate that belonged to George Washington, complete with restored rooms, manicured gardens and a surprising number of sheep. Why go? You can never know too much about America’s first president and a day at Mount Vernon will introduce you to his personal side. A working distillery and blacksmith’s, reenactments, exhibits and a busy events calendar bring the home to life while also exploring the history of slavery. What is it? Virginia’s only island resort. It’s a haven for nature lovers, with wild ponies and pristine beaches to lure you away from the city. Why go? 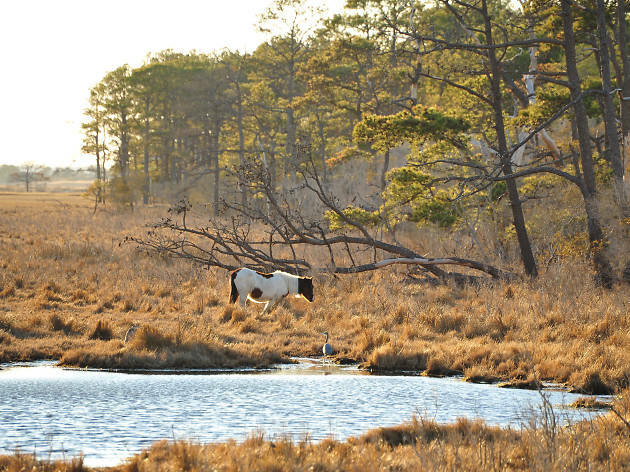 The ultimate country escape, Chincoteague is a seven-mile stretch of untouched natural beauty where simplicity is key. Rent a bike to explore, spend afternoons crabbing or clamming on the Eastern shore or kayak along waterways past the wild ponies that made the island famous. If you’re feeling brave, go hang-gliding for a view you’ll never forget. What is it? 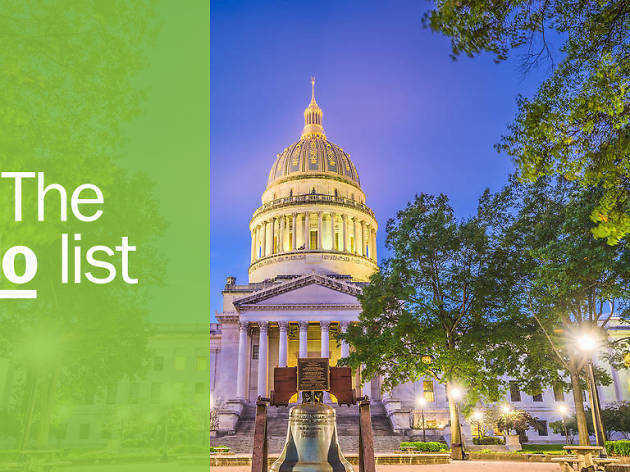 A craft beer trail that takes you on a tour of south-west Virginia via its best independent breweries. Why go? Craft beer is big, and nowhere more so than Virginia, where quantity definitely doesn’t forsake quality. 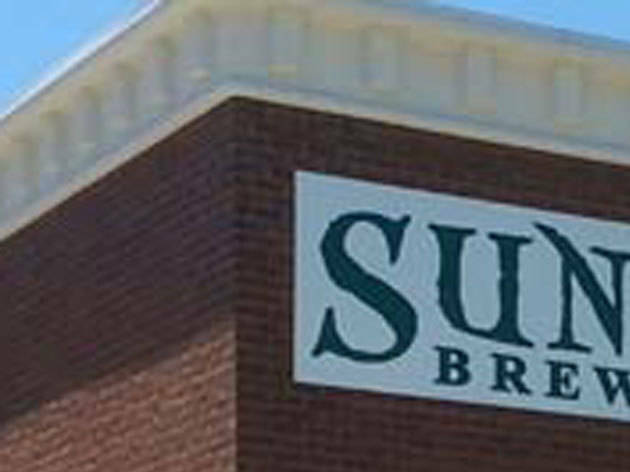 Tour 21 of the state’s 200+ breweries, surrounded by stunning mountains and small towns. Whether you have a designated driver or prefer a hike between pints, there’s no better way to get to know the region than by tasting its creations. What is it? An underground world of breathtaking calcite formations featuring mirrored pools, towering structures and the world’s largest musical instrument. Why go? 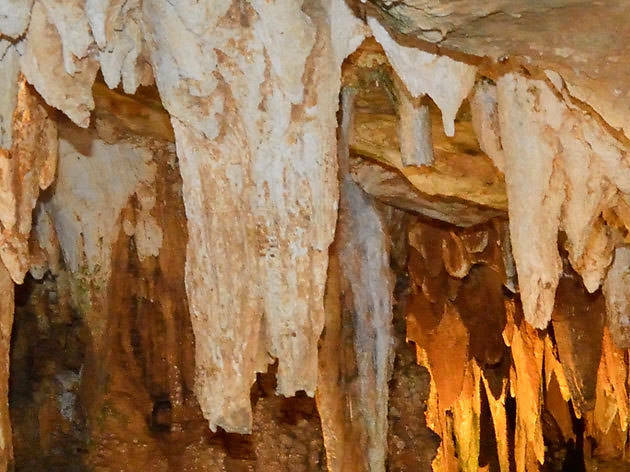 If you’re feeling the need to be awed by nature, this almost unearthly tour of ancient caverns will tick all the boxes. Discovered in 1878, the caves contain incredible cascades and fascinating rock formations named Pluto’s Ghost and Giant’s Hall, but the most unexpected highlight is a musical invention. The Great Stalacpipe Organ is made using stalactites and adds a haunting soundtrack to the experience. What is it? 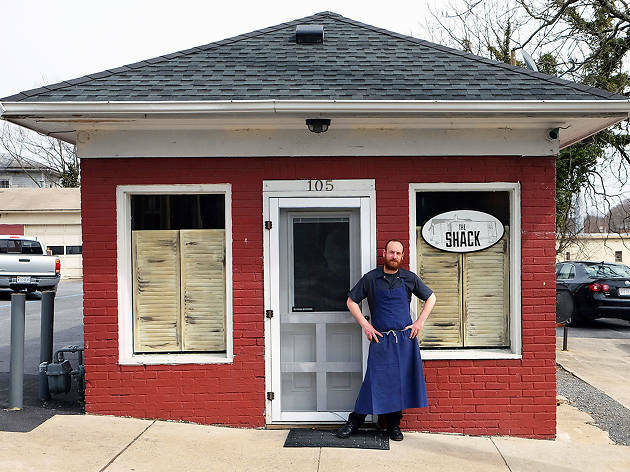 A longstanding family-run restaurant that serves a simple menu passed down over generations at its tiny spot in Roanoke. Why go? 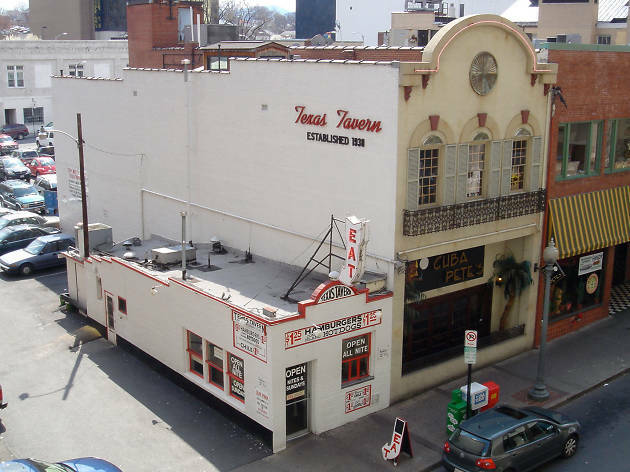 Going strong since 1930, this place proves the mantra that if it ain’t broke, don’t fix it. Serving a simple menu of hot dogs and burgers 24 hours a day, forget local favorite, this is considered a staple state-wide. Drop by for the famous chili and chat with the owners at your counter seat – they certainly have some stories to tell. What is it? 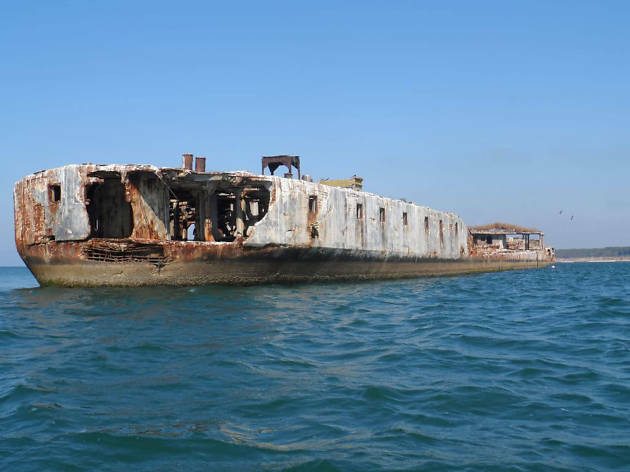 A breakwater created from concrete warships makes for an unusual kayaking adventure or a relaxing fishing spot. Why go? Explorers looking for a unique day out can rent a kayak and get up close and personal with these retired concrete beasts. Shipped in after WW2 and used as illicit gambling dens for decades after, they protect the bay and offer an unusual view to say the least. Although they can no longer be boarded, their magnitude is best appreciated up close. What is it? 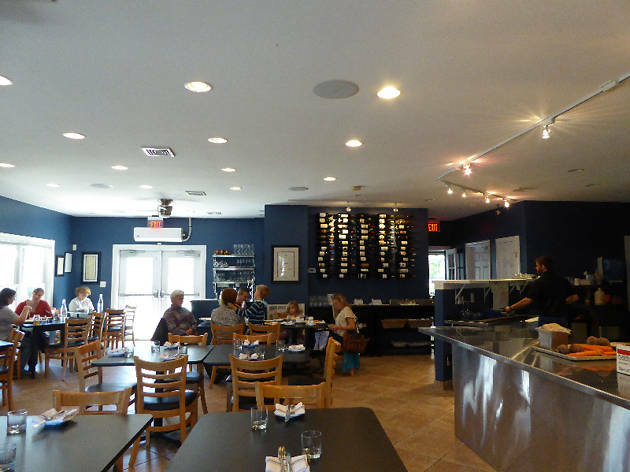 A friendly restaurant in Lovettsville, where seasonal, local produce meets fine-dining. It’s a chance to taste the produce of Virginia at its best. Why go? Using only local farmers, artisans and foragers, the chefs create ever-changing options of deliciously tempting dishes. Menus are divided by source, enhancing the focus on ingredients and encouraging diners to consider their meals in a new way. What is it? A bold, bright arts district bringing local makers and creators together in Norfolk. Why go? Offering the alternative side to Norfolk, Neon is a creative hub that has become the go-to community for visitors and locals looking for something a little different. 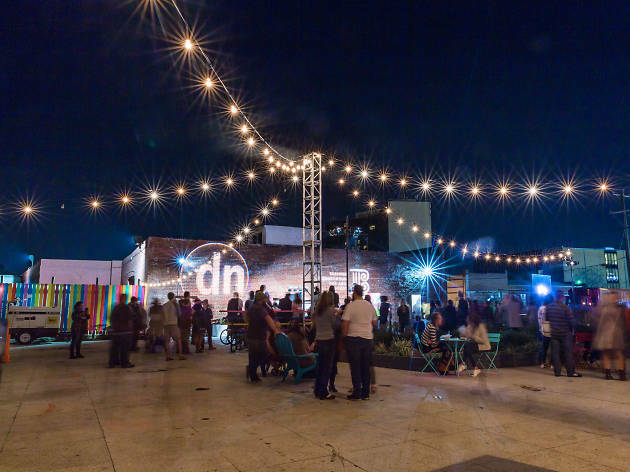 With murals, comedy shows, food events, galleries and markets, the Neon District’s event calendar is busy and always offers something new.